The Asian Strategy & Leadership Institute (ASLI) is Malaysia’s leading independent private Think Tank which is committed to the development of Asian leadership and strategic thinking. ASLI’s vision is to create a better society. ASLI’s mission is to help organizations enhance competitiveness, leadership and strategic capabilities through its public programmes, conferences, publications, policy research, business councils and CEO peer groups. ASLI provides trusted insights to governments, businesses and the diplomatic community. It also acts as a knowledge channel through interaction and dialogues with thought leaders. ASLI’s value propositions are its valuable insights, high-level interaction, thought-leadership and in-depth research studies. ASLI provides insights, ideas, implications and interactions. ASLI’s events have been addressed by Heads of State, Prime Ministers, Senior Cabinet Ministers, Captains of Industry and prominent Strategic Thinkers to discuss issues of strategic importance to governments and businesses. ASLI has, over the years organised high-level programmes focusing on bilateral business partnerships in Singapore, Indonesia, Philippines, Australia, Japan, USA, Canada, Britain, Germany, China and South Africa. ASLI is also the Malaysian Secretariat of various bilateral Business Councils. The Council on Energy, Environment and Water is an independent, not-for-profit policy research institution. CEEW addresses pressing global challenges through an integrated and internationally focused approach. It does so through high quality research, partnerships with public and private institutions, and engagement with and outreach to the wider public. Among its major initiatives, CEEW has: published the 584-page National Water Resources Framework Study for India’s 12th Five Year Plan; written India’s first report on global governance, submitted to the National Security Adviser; undertaken the first independent assessment of India’s 22 gigawatt solar mission; developed an innovation ecosystem framework for India; facilitated the $125 million India-U.S. Joint Clean Energy R&D Centre; worked on geoengineering governance (with UK’s Royal Society and the IPCC); created the Maharashtra-Guangdong partnership on sustainability; published research on energy-trade-climate linkages (including on governing clean energy subsidies for Rio+20); produced comprehensive reports and briefed negotiators on climate finance; developed the design of financial instruments for energy access for the World Bank; supported Bihar (one of India’s poorest states) with minor irrigation reform and for water-climate adaptation frameworks; and published research on energy efficiency and reduced use of HFCs in Indian industry. CEEW’s work profile covers all levels of governance: at the global/regional level, these include climate finance, energy-trade-climate linkages, geoengineering governance, and bilateral collaborations with China, Israel, Pakistan, and the United States; at the national level, it covers energy and resource efficiency and security, water resources management, renewable energy policies, India and global governance, and innovation strategies; and at the state/local level, CEEW develops integrated energy, environment and water plans, and facilitates industry action to reduce emissions or increase R&D investments in clean technologies. Founded in 1961, The Federation of Korean Industries (FKI) has championed the principles of free enterprise to achieve wholesome development of the national economy. FKI stands at the forefront in the endeavor to build and advanced society in the 21st century by prioritizing stronger industrial competitiveness, and fully responding to the requirements of globalization. Globalization today requires assuming a higher profile in the international arena and pursuing ever more substantial cooperation among nations. Recognizing the social responsibility of corporations, FKI is committed to maintaining an improved socio-economic climate at home and eventually to bringing prosperity to all mankind. India and Bangladesh, being the closest of the neighbouring countries, have felt the need and desire for economic and bilateral trade cooperation on a long-term sustainable basis. Trade between the two countries has been growing rapidly since the early 1990s. India and Bangladesh offer natural markets for each other’s products. In their mutual trade, they enjoy the advantages of reduced transaction costs and quicker delivery due to geographical proximity, common language, heritage and physical infrastructures. On that ground, formation of a joint business chamber to boost trade between the two countries was a long felt necessity of the business communities of both the countries. ICRIER, one of India’s leading think tanks, was established in August 1981 by Dr. K. B. Lall as a not-for-profit research organisation to provide a strong economic basis for policy making. Under the current Chairperson, Dr. Isher Judge Ahluwalia, ICRIER has continued, and indeed reinforced the pursuit of its original vision and in the process significantly expanded the scope of its research activities. ICRIER is ably supported by a Board of Governors, which includes leading policy makers, academicians, opinion makers and well-known representatives of the corporate world. 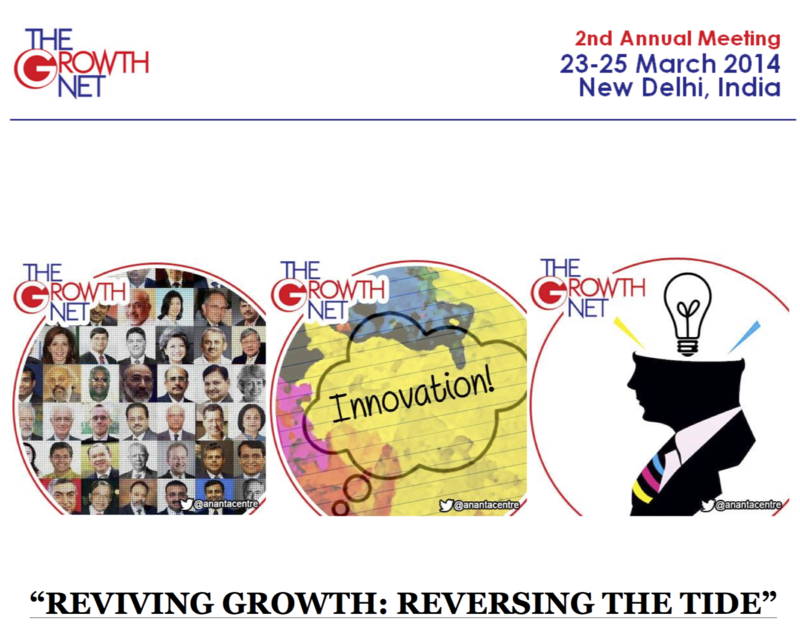 The members include – Tarun Das, Janaki Kathpalia, Vijay Laxman Kelkar, Chanda Kochhar, Uday S. Kotak, Anand Mahindra, Rakesh Mohan, Nandan M. Nilekani, Raghuram Rajan, Malvinder Mohan Singh, N. K. Singh, Nitin Desai, Kiran Mazumdar Shaw and Ashok Jha. ICRIER’s success lies in the quality of its human capital. Led by Dr. Rajat Kathuria, Director & Chief Executive, ICRIER’s research team consists of highly qualified professors, senior fellows, fellows, research associates/assistants and consultants. The RBI, HUDCO and Wadhwani Chairs in ICRIER focus on macroeconomic, urbanisation and India-US strategic issues respectively. International conferences/seminars, public policy workshops, public lectures and publications form an integral part of ICRIER’s outreach activities. ICRIER maintains a wide network of resource persons from India and abroad. It strives to attract well-qualified researchers, provide a stimulating and scholarly work environment and encourages researchers to work in teams. ICRIERs research is widely cited by both academia and the popular press, and has over the years provided critical inputs for policy making. Established on March 25, 1839, The Ceylon Chamber of Commerce is amongst the few legendary institutions in the Asia Pacific Region to hold such an unbroken record. Having commenced operations with coffee, followed by tea, rubber and coconut sectors, CCC has now evolved to cover all sectors of the economy and identifies itself as a Confederation of Regional and Sectoral Chamber of Commerce and Industry, Trade Associations, Employer Associations and Bilateral Business Councils. CCC claims that this status having formed alliances with 16 Regional and other Chambers of Commerce, 40 Trade, Product and Service Associations and 21 Bilateral Business Councils. The CCC is the only Chamber in South Asia with BSENISO 9001:2000 Quality Management System certification and works towards its vision of being Benchmark Chamber of Commerce in the Asia Pacific Region. A Primary Member of the Confederation of Asia-Pacific Chambers of Commerce and Industry (CACCI), it also holds membership of the World Chambers Federation, Paris and is a member of the Sri Lanka National Council of the International Chamber of Commerce. Today the CCC comprises over 500 members with an outreach to over 3,500 organizations covering the entire spectrum of the business community ranging from sole proprietors to multinationals. The Conference Board is a global, independent business membership and research association working in the public interest. Our mission is unique: To provide the world’s leading organizations with the practical knowledge they need to improve their performance and better serve society. Founded in 1916, The Conference Board is an objective, independent source of economic and business knowledge with one agenda: to help our member companies understand and deal with the most critical issues of our time. We conduct research and convene business leaders in forums large and small, public and private. The insights captured through our extensive network feed directly back into our research and meeting agendas, ensuring that our activities remain sharply focused on the key issues of the day. The Conference Board works within and across three main subject areas – Corporate Leadership; Economy & Business Environment; and Human Capital – to create a unique, enterprise-wide perspective that helps business leaders respond today, anticipate tomorrow, and make the right strategic decisions every day. We provide objective, world-renowned economic data and analyses that help business and policy leaders make sense of their operating environments, in-depth research and best practices concerning management, leadership, and corporate citizenship, public and private forums in which executives learn with and from their peers and a platform and thought leadership for the business community worldwide. WWF-India is one of India’s leading conservation organizations with programmes and projects spread across the country. The organisation works towards the conservation of biodiversity, natural habitats and the reduction of humanity’s ecological footprint. The mission of WWF-India is to stop the degradation of the earth’s natural environment and to build a future in which humans live in harmony with nature.